The meal kit industry is always changing, and for those with specific dietary needs, that means there are more options than ever! With convenient and delicious recipes for every lifestyle need, today’s meal kits can accommodate everyone in your home. The problem is, it can be tough to decide which plan is right for you. That’s where we come in! Here we’ll look at two companies—Sun Basket and Hello Fresh—and compare their vegetarian offerings. Sun Basket focuses on organic and sustainably sourced ingredients with flexibility within each plan selection. Hello Fresh uses straightforward recipes with prepped ingredients that are healthy and no-frills. Here’s more about the two companies and how their veggie plans stack up. 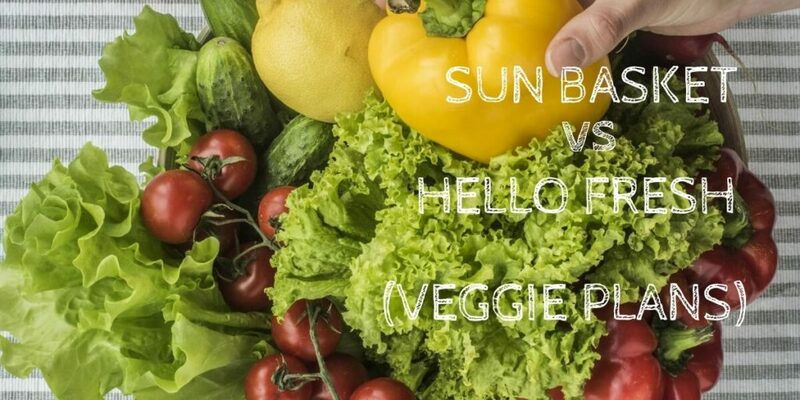 Sun Basket and Hello Fresh both offer comprehensive vegetarian meal plans that meet nutrition requirements while keeping your plate exciting and innovative. 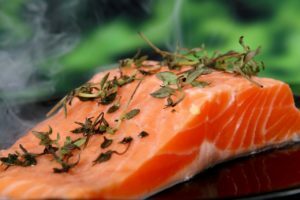 Of course, quick and easy meal prep is the focus, but that doesn’t mean there aren’t plenty of flavors to entice every subscriber. 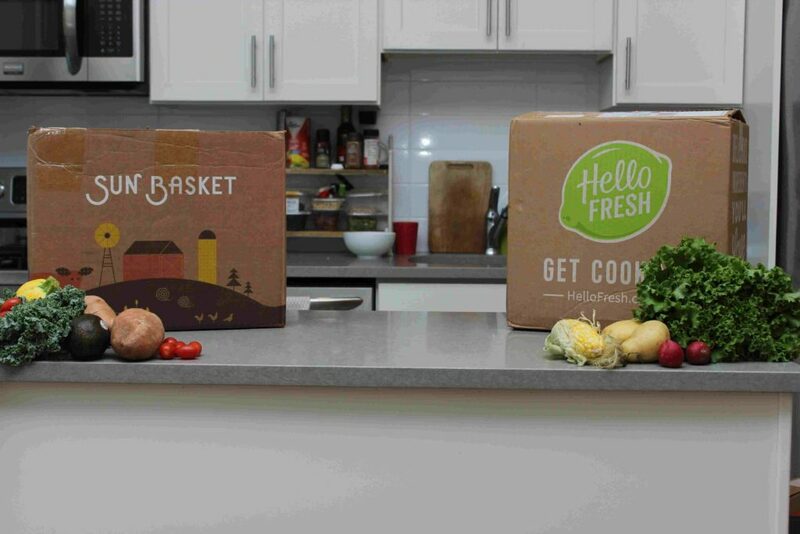 Here are the details on both Sun Basket and Hello Fresh plans. You can choose either the Classic or Family menus with Sun Basket, and both come with vegetarian-only dishes and ingredients. 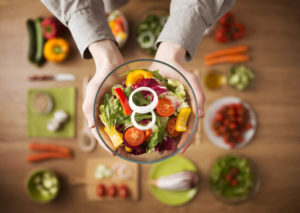 Items are organic and nutritionally dense, and you can also switch out your veggie dishes with other menu selections so that everyone in the family is happy. In addition to their regular Classic and Family plans, Hello Fresh even offers a specifically Veggie plan. This is helpful because their Family offerings don’t include plant-based-only selections. Therefore, for a true vegetarian plan, you’ll need to select either the Classic or the Veggie. Sun Basket uses organic produce, uniquely blended sauces and spices, and sustainably sourced dairy and eggs. You’ll get your protein from a range of sources, including non-GMO and organic tofu, organic eggs, beans, legumes, nuts, and more. From comfort food dishes like chickpeas with kale and egg to more adventurous Chilaquiles Verdes, there’s a lot of variety with Sun Basket. 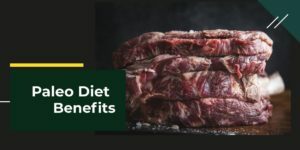 However, if there’s someone in the family who isn’t strictly vegetarian, you can switch out menu items, including gluten-free and more, to make sure everyone is happy and fed. Hello Fresh’s Veggie plan also spans a range of cuisine influences, such as recipes like Italian tomato and chickpea soup or Mediterranean baked veggies. However, there are limited menu choices for the Veggie plan—Hello Fresh only allows for specific recipe selection with Classic and 2-meal Family Plan choices. Sun Basket’s dishes balance protein and carbohydrates plus healthy fats for at least 20 grams of protein and five grams of fiber per portion. You’ll notice that the recipes don’t rely on the same protein source—instead, you’ll see a variety of beans and legumes, peas, eggs, cheese, and more for protein and other nutrients. 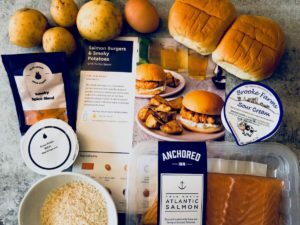 As far as complexity, you might expect from the recipe titles that Sun Basket meals will be hard to prepare, but that’s the beauty of their meal kit service. Most recipes take about 30 minutes to make, with some requiring far less time. 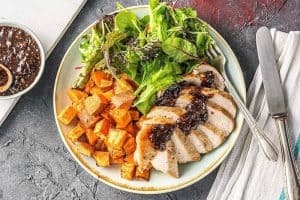 With Hello Fresh, prep time is still about 30 minutes, and the recipes aren’t too complicated for the average home chef to handle. Lots of dishes are egg-free and nut-free, but the company denotes which dishes contain which ingredients. And even if there are no eggs or nuts, there are other protein and healthy fat sources in every plate—along with colorful and nutritious veggies. Sun Basket’s produce comes from fully organic sources, and their dairy is sustainably sourced. Many dishes have global inspiration, but ingredients are local whenever possible. Of course, everything is fresh when it arrives at your house! 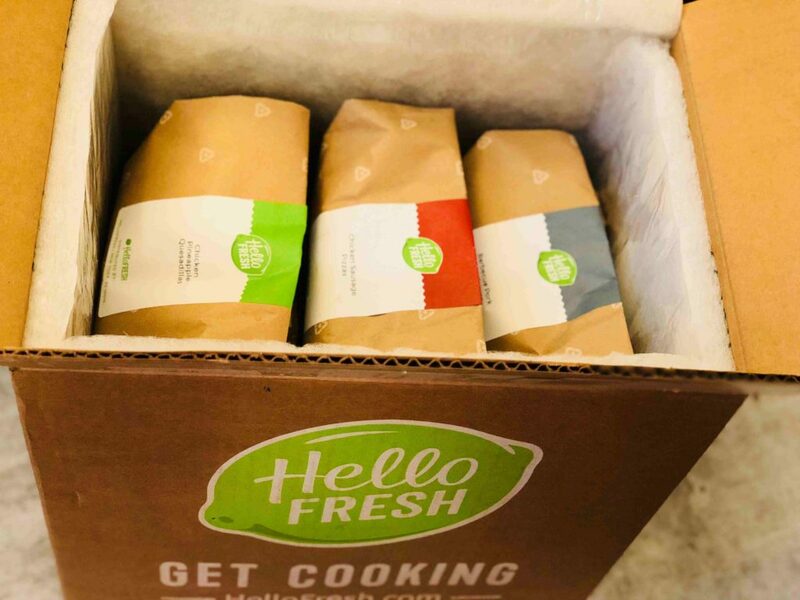 Hello Fresh has meal kits for the US, Canada, western Europe, and even Australia, so you know they’re experts at sourcing fresh and local ingredients wherever they’re prepping your order. Pre-measured ingredients eliminate waste, and Hello Fresh stands by its name—every item in your delivery will be crisp and ready to prepare. 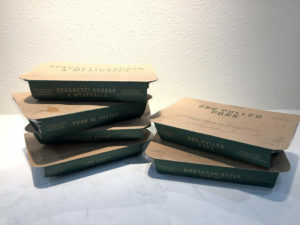 Sun Basket ensures that all its packing materials are recyclable or compostable, focusing on the environment as well as the protection of the food inside. All boxed items are wrapped individually to keep them fresh and blemish-free during transport. 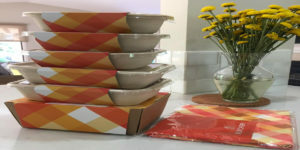 Hello Fresh boxes also have recyclable materials and each recipe is sorted into its own bag with a clear label. Refrigerated items are at the bottom, closest to the ice, so you know your tofu and eggs are super-fresh. Of course, Hello Fresh includes a note to remind you to check under the ice for stray menu items! Sun Basket has both an app and a website to make ordering and updating your account easy. Download the app via the Apple App Store or Google Play to your smart device or log in from a computer or smartphone in the web browser. You can edit your menu, change your overall meal preferences, adjust payment settings, and update your delivery schedule. Hello Fresh also has an app and their website, and both options enable customers to register for service, update dietary preferences, change plans, choose weekly recipes (where applicable), and view past and future menus. You’ll also have easy access to recipes, ingredients, and nutritional facts via the app or website whenever necessary. Both Sun Basket and Green Chef require a subscription to receive weekly deliveries, but you can pause or cancel your subscription at any time. With both services, you’ll need to check their cutoff dates for deliveries so that you cancel before being charged for the next shipment. Sun Basket deliveries typically occur on Monday, Tuesday, Wednesday, or Thursday between 8 AM and 9 PM. 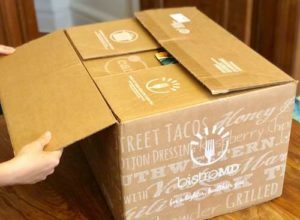 Green Chef allows subscribers to choose a delivery time—typically between 8 AM and 8 PM—on their specific area’s delivery days. For vegetarian meal plans that are delicious and full of nutrition, both Sun Basket and Hello Fresh meal kit services are excellent options. However, we do have to pick a winner in this matchup, and for us, it’s Sun Basket. 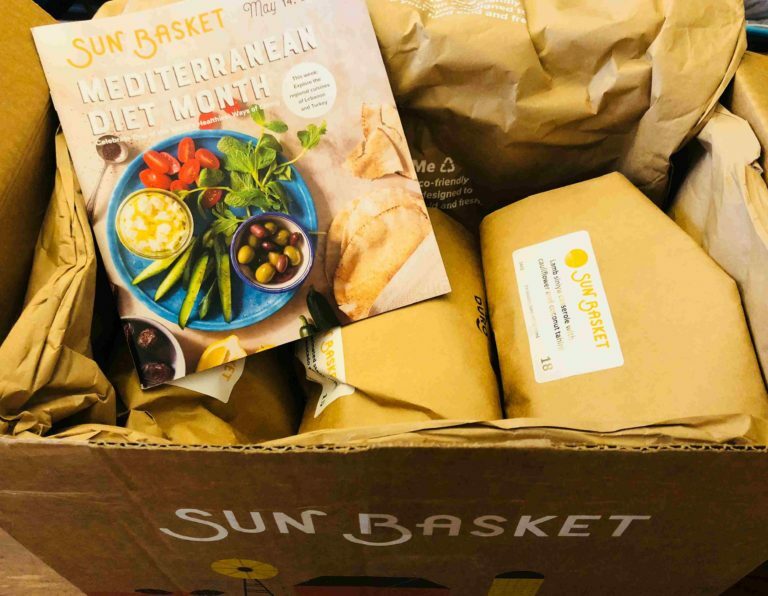 The two companies are comparable regarding the type of meals offered and variety, but we really like that Sun Basket has entirely organic and sustainably sourced ingredients. While Hello Fresh is committed to fresh and healthy ingredients, they don’t have the type of stringent requirements Sun Basket does with their ingredient sources. Hello Fresh does have lower price points, but in terms of variety and flexibility in picking plans, we would have to recommend Sun Basket. You can adjust your menu, switch to another type of plan (such as gluten-free or paleo), and make selections as far as what recipes you receive each week. 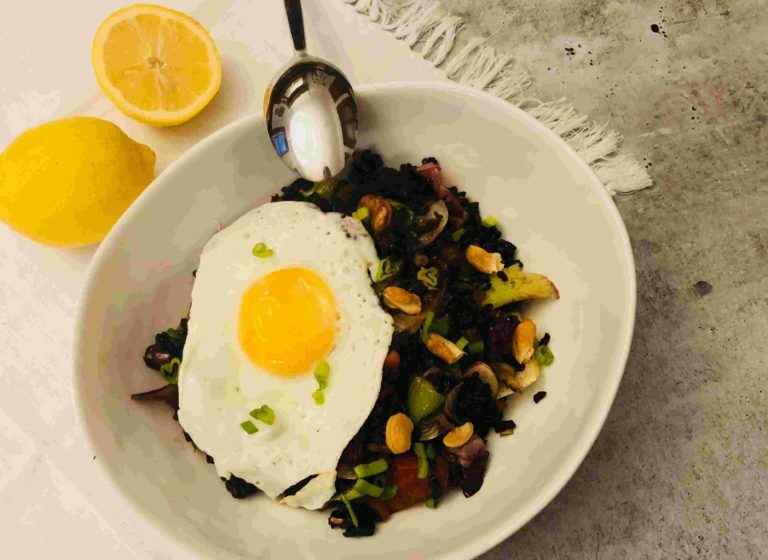 With Hello Fresh, there’s a little less flexibility, even if prices do start at a lower price point ($8.99/serving), but we’re happy to pay a bit more ($10.99/serving) for Sun Basket’s larger selection and commitment to fresh and healthy ingredients.